There are hundreds to thousands of United States Postal Service (USPS) trucks operating every day on the roads in North Carolina. The employees who operate these trucks can drive negligently and cause serious automobile collisions and bodily injuries just like anyone else. However, personal injury claims involving postal service negligence are not treated same as those involving other drivers. If you suffer injury and/or property damage as a consequence of a postal service employee causing a vehicle accident, there is a specific claims process that must be followed. The North Carolina personal injury attorneys of Maginnis Law can help guide you through that process. 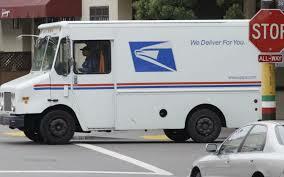 The postal service does not insure its vehicles through private insurance companies. Claims must be paid directly by the United States Government. One of the ways to initiate a claim with the Government is to contact a regional Tort Claims Investigative unit. For claims in Raleigh, the nearest Investigative unit is the Greensboro District. The Tort Claims Investigative unit will require the claimant to fill out a Form 95. Your prognosis, including the length of time of any partial disability and extent of such disability. Medical records and medical bills, along with any lost wage documentation, should accompany the report by your physician. Additionally, the USPS may take the position that any property damage claim must be resolved at the same time as your bodily injury claim. If you and the Government cannot agree on an amount of compensation, you will have the right to file a Federal lawsuit against the Postal Service. You may not file in state court, as you can with most other automobile wrecks. Maginnis Law personal injury attorney Shawn Howard has experience in representing injured North Carolinians in claims against the USPS and can assist you in presenting your claim to the Tort Claims Investigative unit. Additionally, our firm regularly litigates cases in all three of North Carolina’s Federal court districts and can move forward with your case if the Postal Service does not offer fair compensation for your injuries. Additionally, Maginnis Law offers free consultations to all prospective clients injured by mail man negligence. If we’re able to assist with your case, we will offer a contingency fee whereby you only pay attorneys’ fees if we recover a settlement or verdict on your behalf. To schedule a free consultation, visit the Maginnis Law contact page or email us at info@maginnislaw.com. You can also call Shawn directly at 919.480.8526. If you have just experienced an accident and would like to get some information about the process before hiring a lawyer, our personal injury information mailing list might interest you.